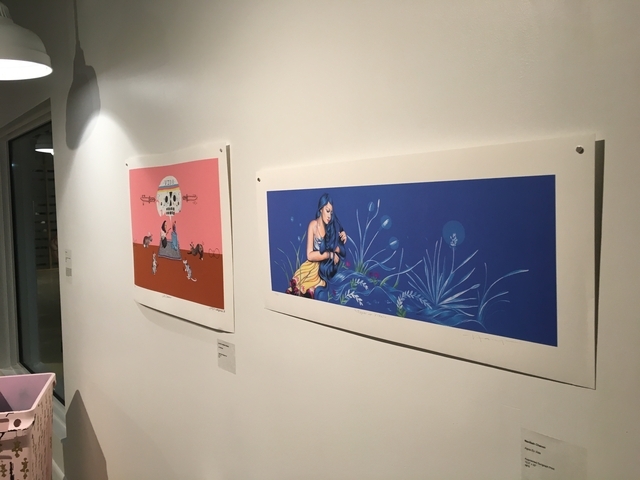 We are producing a new print by Desert Triangle artist Nanibah Chacon, which is enhanced by "augmented reality." 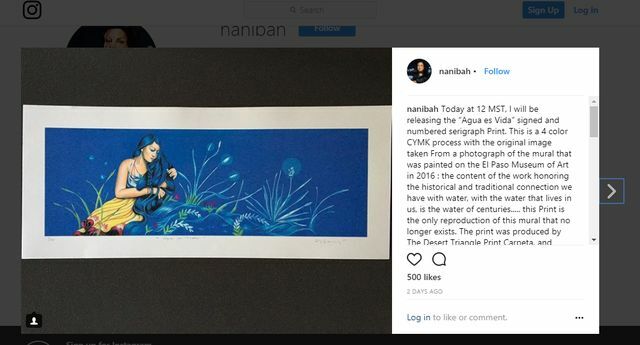 UPDATE: On Instagram, Nani released this augmented print for sale on February 12, 2018. It is for sale directly at this SquareUp link - $250. 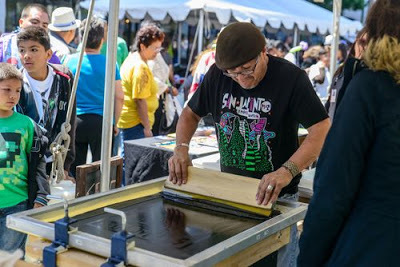 Taller 75 Grados in Mexico City is creating the serigraph print edition (Instagram). 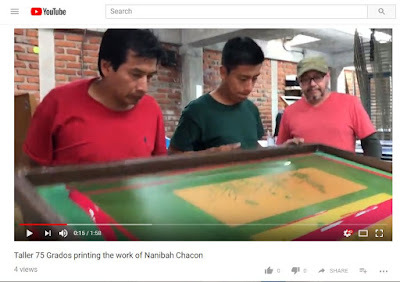 Update (Jan 10, 2018): The print has been finished at Taller 75 Grados in Mexico City! This image was originally painted on the walls of the El Paso Museum of Art, for the Chalk the Block festival in October of 2016. 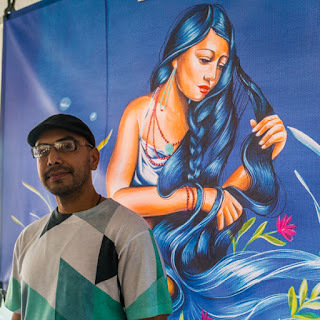 Federico Villalba took a photo of the mural, and it is this photo that will be translated into a serigraph. 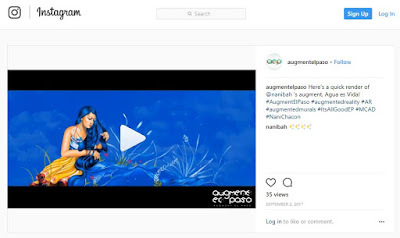 AUGMENT EL PASO enhanced Nani's mural with "augmented reality." 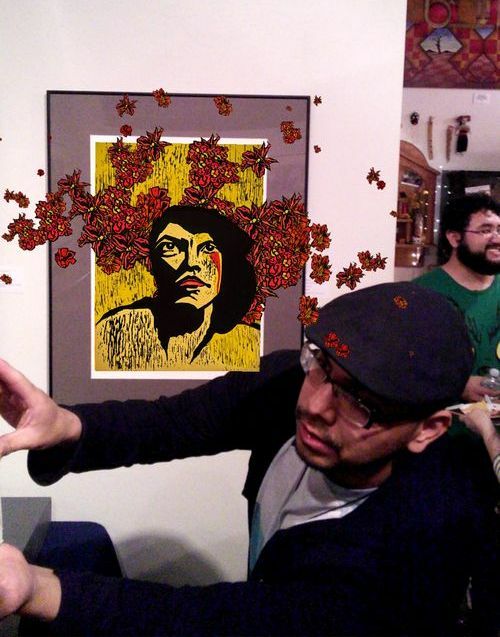 After downloading the Augment El Paso app, one can see the image/mural animated, through the lens of the iPhone. David Figueroa and Robert Castaneda are Augment El Paso. Augment El Paso had a tent at the Chalk the Block 2017 festival in downtown El Paso, where visitors enjoyed augmented views of several images. 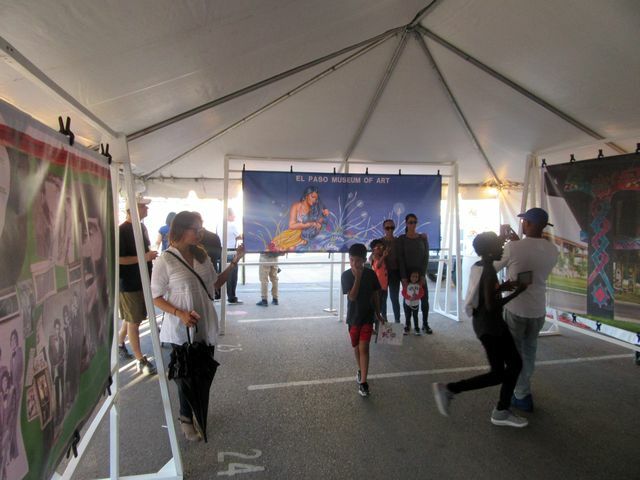 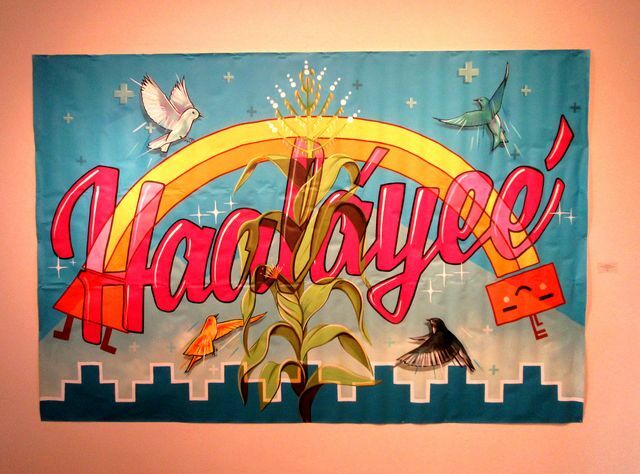 The biggest, however, was a large banner of Nani Chacon's mural. 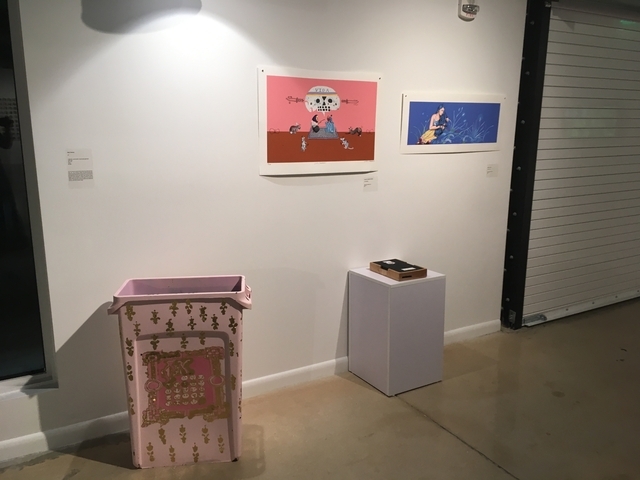 Update (Sept 10, 2018): Nani's serigraph was part of the "Social Code" exhibit, at the Delray Arts Warehouse, just north of Miami.